John Olsen, Australia's greatest living painter talks to the ABC 7.30 report about his latest body of work Lake Eyre - The Desert Sea, Ruminations on a Empty Landscape. This latest collection of watercolours, a very personal reflection of an ever-changing landscape that Olsen has visited since the 1970's, depicts the results of the recent flooding to the area and the new life that follows. This episode features interviews John Olsen, his gallerist-son Tim Olsen, grandson James and two young artists Luke Sciberras and Guy Maestri fly across the Lake as well as an interview by Edmund Capon, Director of the Art Gallery of New South Wales. 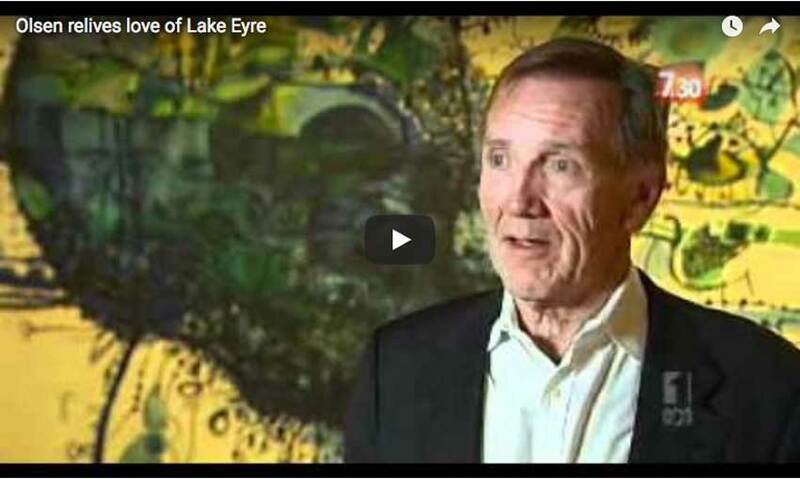 This wonderful documentary produced by Catherine Hunter and presented by Max Cullen investigates John's enduring passion for the Australian landscape. 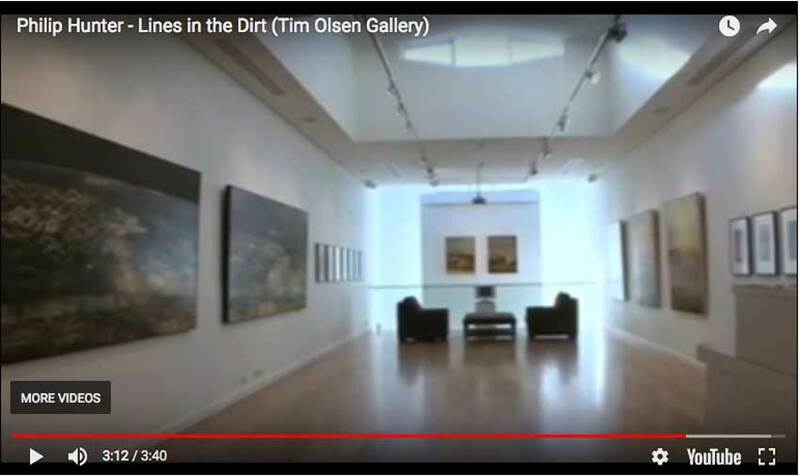 John revisits Lake Eyre after many years with artist and friend Tim Storrier and discusses his deep love for the desert. Cullen examines other environments that have shaped John's artmaking, including the years spent in Spain in the 1960s; Clarendon, SA and Sydney Harbour, Kings Cross and Hill End, NSW. Fascinating insights are provided by Edmund Capon and Barry Pearce, Art Gallery of NSW. Archival footage of John teaching drawing at the Julian Ashton Art School and painting in the landscape. 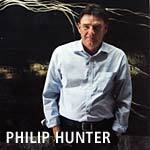 Melbourne based artist Philip Hunter discusses with Tracee Hutchison his unique interpretation of and relationship with the Australian landscape. Hunter draws his inspiration from Wimmera, in North – Western Victoria where he grew up. The Wimmera region plays a special role in Australian Art. Sydney Nolan and Arthur Boyd both produced seminal works based within this region. Hunter’s paintings draw upon a narrative that creates a fusion between Indigenous and European interpretations of the Australian landscape. Hunter has developed a language through his paintings that redefine a relationship to a sense of place. More recently Hunter has embraced the challenge of responding to the indefinable qualities of the Australian landscape. Hutchinson addresses these concerns at the 2004 Melbourne International Art Fair in the Tim Olsen Gallery Stand. 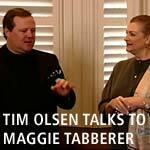 Maggie Tabberer in her landmark series Maggie... At Home visits the homes of various Australian celebrities and to discuss their lives, careers, tragedies, and triumphs. In this episode Tim Olsen speaks candidly about his life, family and collecting art. 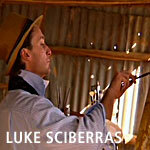 Luke Sciberras talks to the ABC 7.30 Report about his work and inspiration. Includes footage at his latest opening, interviews with Luke and the artist at work. Excerpt only. Full interview DVD available from the Gallery. 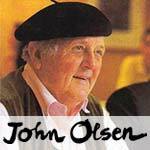 John Olsen's exhibition 'Salute to Sydney: Olsen at Eighty' opened to tremendous acclaim in November 2007 and signalled the official opening of the new Tim Olsen Gallery on Jersey Rd. Tim hosted a red carpet gala event that was attended by many Olsen devotees together with notable artists, actors, writers and television personalities. 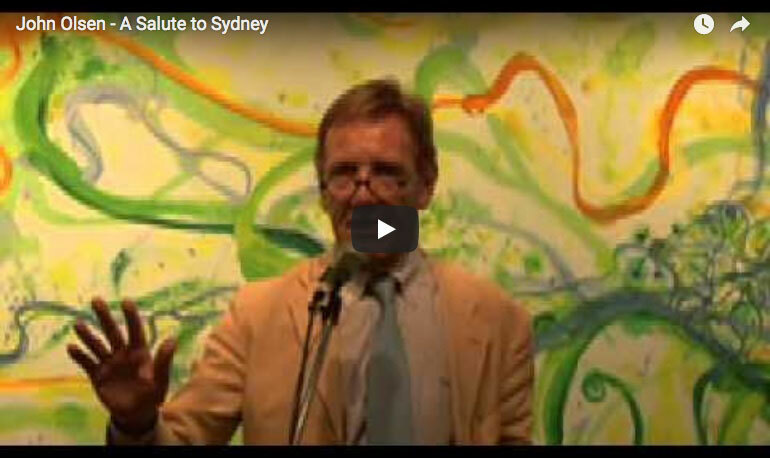 Long time friend and director of the Art Gallery of NSW Edmund Capon opened the exhibition that marks an important shift in Olsen's paintings from the vast dry interior to Sydney's harbour and beaches. In the excerpt of the evenings events John Olsen also reflects on his childhood spent on Sydney's shores that provides the central motivation for this beautiful collection of paintings. John Olsen opens the critically acclaimed Philip Hunter 2008 exhibition. Olsen praises the quality of the painting and comments on Hunter’s position as the head of the new guard of artists re-interpreting our response to the land. Paul Davies has dedicated the past five years to refining subjects based on the distinctive use of architectural facades and interiors; inspired by bold colours and minimal designs prevalent in 1970s modernism. Prior to his 2008 exhibition at Tim Olsen Gallery, Paul Davies talks to Tim Olsen about his work and inspiration, from his Surry Hills studio through to his opening night. 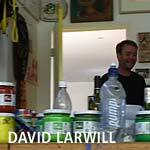 David Larwill has emerged as one of Australia's most distinctive contemporary artists. His style of populating his paintings with stylised human figures and animals, his use of child like forms and the occasional inclusion of slogans, gives his work a naive quality. Larwill evokes an extraordinary range of feelings, moods and expressions through his paintings and many of his works have considerable primal strength. With Larwill, the artistic experience is direct, and the viewer is obliged to respond spontaneously to the core truth of each work. David Larwill is represented in the collections of the National Gallery of Australia, Canberra; The British Museum, London; and in most State and Regional Galleries throughout Australia. 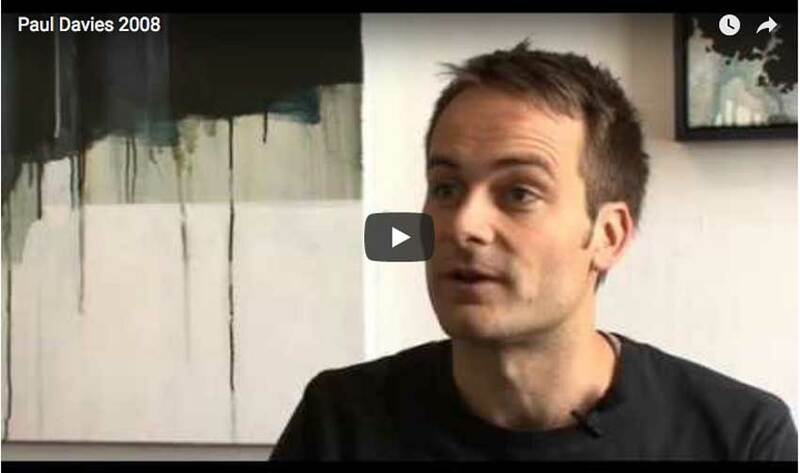 The first in a series of interviews by Gallery Director, Tim Olsen. 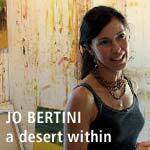 In this episode, Tim visits the studio of Sydney artist, Jo Bertini, and discovers an insight into her art, her inspiration and passion for the desert landscape. Excerpt only featured. Full DVD available from the Gallery.